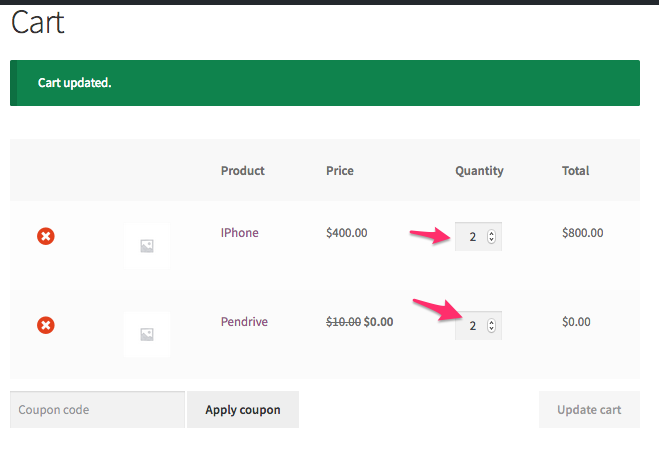 This is a simple BOGO discount scenario where you buy Product A and get Product B free. Note: You will need Woo Discount Rules PRO version to set this discount scenario for Dependent product based rules. Make sure you choose the "Quantity based by product/category and BOGO Deals"
Choose the "Specific products" and select the product the customer should purchase to get eligibility for the free product. The Min - Max quantity range should be set according to the number of products you wanted to give free. This will be useful when you want: Buy 1 Product A and get 1 Product B free. Buy 2 Product A and get 2 Product B free... and so on. Adjustment type should be "Product discount"
Apply for should be "Auto add All selected products"
Free quantity should be the quantity you wanted to give free. NOTE: You can configure as many ranges as you like. Now when a customer adds iPhone, he will get 1 quantity of Pendrive free. 1. How to provide 50% discount on Product B, when Product A is purchased ? 2. How to provide 50% discount on all products in the store, when Product A is purchased? 3. How to provide "Buy any product from Category A, get Product X free? 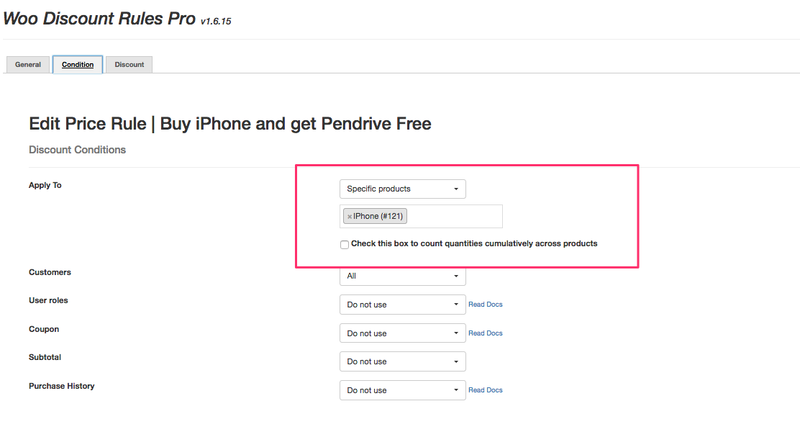 In the Conditions tab, please choose "Specific Categories"
This scenario occurs when the free product is a "variable product". Example: A T-Shirt. So the customer should select the size or colour of the T-Shirt and add it to cart. And then get it free. To configure this scenario, the general and conditions tabs follow the same set up as mentioned above. 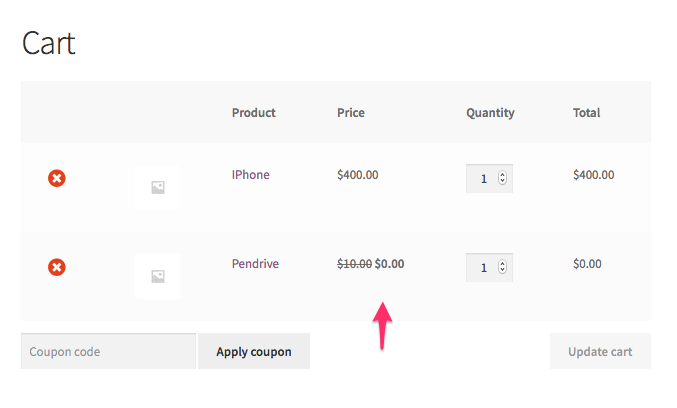 In the discount tab, choose the Apply for as "Cheapest in cart - Selected items"
IMPORTANT NOTE: The customer has to select the variant and add to cart to get the discount.